Please use the 'CONTACT ME' form at the top of the page to discuss what to expect from your session. 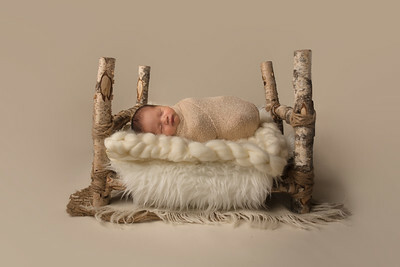 It is best to photographer newborns within the first 10 days of the birth, please be sure to book your appointment well in advanced so I can block out the time around your due date. Sessions take place in my studio in order to maximize the session. If you prefer to do an on-location session, this will be limited to 2 props and one backdrop. For the basic package, your full session will be shared with you through an online gallery that will be in low resolution and watermarked. The final images of your choice will be fully edited, retouched and shared in full resolution without a watermark. Payment Methods: Credit card payments attract a 2.75% surcharge. Credit card surcharges can be avoiding by paying by cash or check.